Well maybe the creations are not truly cuddlesome, but they are cute and taxonometric fashion statements. Slightly more enigmatic, the Chameleon does exhibit a flair for color. Ready to spring into action, the Grasshopper is more muted earthtones. 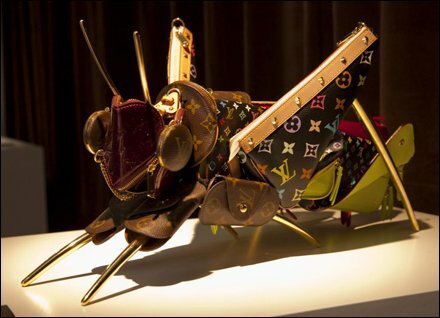 These are from Monsuier Vuitton’s 2011 press animal (a.k.a. “slick free advertising“) campaign. 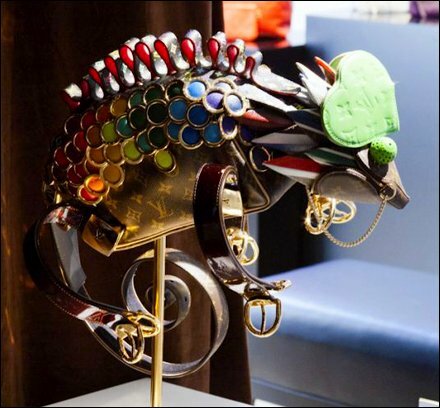 But I obviously browse backwater Vuitton Boutiques which were never visited by these window-worthy creations. CLICK the thumbnail to get close to the Grasshopper. Link back to the originating post for more details.